A couple of months back we saw LG release the G4 flagship with leather or plastic back panels, but it doesn't seem to have people singing from the rooftops. Rumours suggest LG is about to release a metal high-end phone though for those disappointed, and it'll be in the form of the LG G4 Pro. According to Korean site ET News, some folks at LG are against putting metal onto phones as it's costly and they're concerned of the brand's selling power. The rumours suggest it'll be metal but nobody is clear on what will exactly make the handset a "Pro" version of the LG G4. The specs on the G4 are already pretty impressive but looking at LG's G Pro 2 from last year it may come with a larger display close to the 6-inch mark. Other rumours include the introduction of a stylus to help compete with the likes of the Galaxy Note 5 but at the moment it's all a little unclear, as is a release date. 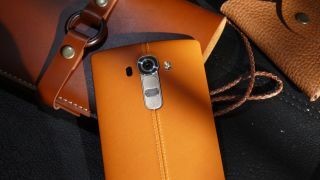 Read our LG G4 hands-on.